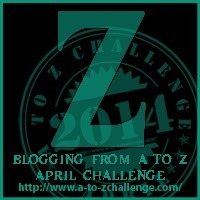 I’ve written quite a bit this month for the 2014 A-Z Challenge. Even discounting Kobold Kommandos because it had been written before I still managed to write (or update, in a couple of cases) 31 articles and more than 35,000 words on a variety of topics. All things considered I’m pretty satisfied with it. I had no real plans or agenda for the posts, and nothing specifically prepared coming into it, and yet I managed to write a fair bit about two of my projects. First mentioned was the Echelon Reference Series, including something about what it is and how I go about preparing the content for it. This is an ongoing (and long-running, I started last spring!) project to organize information for my use in designing Echelon, and hopefully resulting in some salable products. Second, I started work on a new sandbox setting, including identifying several potential campaigns that can be set in it and expanding on one of them as a demonstration of my campaign and scenario design methods. I need to set this aside for a time and return to my regular design work — Echelon Reference Series right now — but I am very much interested in continuing this project and running some of the adventures in it. To be honest I’m a little burned out on it at the moment after pushing out so much content this much and demonstrating the methods; it will benefit from laying fallow for a little while. There were also some more or less miscellaneous posts mixed in, but I’m pleased with how generally cohesive the content was. Total 38,290 About 2/3 of a NaNoWriMo target! Even after removing the previously-written Kobold Kommandos. 2014-04-30 Z 1,374 Z-A Challenge 2014 Index Index of all A-Z Challenge articles, newest to oldest. 2014-04-29 Y 660 Years Ago, and Years to Come A bit of reflection on my relationship with the hobby, and where I think it will go from here. 2014-04-28 X 324 XP and Rewards in the Sandbox What changes might be needed to accommodate not giving out monetary treasure? 2014-04-26 W 1,859 Workflows for Extracting Data from Word Files How I capture gaming information from MS Word source files to the formatted results in the Echelon Reference Series and the diagrams created when visualizing game information. 2014-04-25 V 1,973 Visualizing Game Information The tools I use to lay out diagrams of gaming information to make it easier for me to understand, with specific examples. 2014-04-24 U 524 Unusual Rewards in the Sandbox I realize that monetary loot is the convention, but it doesn’t feel right for some of the adventures in this sandbox. 2014-04-23 T 1,555 Tales of the Donnerkonig Exploring ideas for the Hall of the Faded Kings and the stories presented there of the Donnerkonig. 2014-04-22 S 850 Spotlight: Sine Nomine Publishing Overview/high-level review of Sine Nomine Publishing and the works of Kevin Crawford. 2014-04-20 R 3,431 Refining the Keys of Heraka-at Polishing the previous day’s thoughts on the areas of The Keys of Heraka-at, after having had a bit of time to think about them more. 2014-04-19 Q 2,150 A Quick Overview of The Keys of Heraka-at A first cut identifying areas of interest and potential encounters in The Keys of Heraka-at. 2014-04-18 P 631 Preparation and Player Agency in the Sandbox A brief discussion of how preparing material for use interacts with the goal of increasing player agency. 2014-04-17 O 1,423 Overkill? Somewhat, But For Reasons Why I am spending so much time on front work that may or may not actually see play. 2014-04-16 N 966 Next Steps in the Sandbox: Developing Donnerkonig Heirs A first cut identifying adventures in the Donnerkonig Heirs campaign and how they may relate to each other. 2014-04-15 M 764 Macro to Micro in the Sandbox: Mapping the Donnerkonig Chronicle This post shifts the conversation from discussing the sandbox setting as a whole to a specific potential set of campaigns. The Donnerkonig Chronicle is a potential set of campaigns relating to the Donnerkonig and Sturmhame. 2014-04-13 L 1,413 Layers Upon Layers in the Sandbox Explains how the methods I use can be applied at different levels and for different scope depending on immediate need. It also describes how thinking about things early and in an abstract way can make it easier to prepare material so it can be ‘entered’ from many different places. 2014-04-12 K 432 The Keys of Heraka-at: Adventure Background A bit of background for The Keys of Heraka-at, an adventure set in and around Sturmhame. Later consideration caused me to realize it made a good campaign gateway into what will become the Donnerkonig Heirs campaign, identifying those who might take up the mantle and responsibility of the Donnerkonig, the legendary Thunder Kings. 1,480 Kobold Kommandos A post I pulled up from the archives. Originally a story sent to me by the DM, a friend of mine, and worth a chuckle or two. 2014-04-11 J 1,085 Jumbled Adventure Structure Discussing how I might randomize creation of a graph, to be used to structure an adventure or campaign. GreyKnight has since provided me a script that does a better job than the one I’d originally hacked together. His script and mine both generate good-looking graphs, but when selecting from the lists of graphs I end up culling fewer of the ones from his script. 1,500 Joachim Baas, Pirate Hunter An old PC I played, a cleric/ranger of a sea god. Given his vocation and goals (hunting pirates) he looks like he would be a good fit for this sandbox setting. Also, he was a lot of fun to play, especially since, being neutral, he had a lot of leeway in how he dealt with situations. 2014-04-10 I 1,414 Imagination, and How I Fake It I am a structured thinker and I am told I have a very organized mind. This is a powerful tool, but seems to inhibit my ability to come up with interesting and imaginative ideas without prompting — I fall back into patterns I find useful or appealing very easily. This post describes some of the tools and techniques I use to try to encourage my imagination. 2014-04-09 H 267 Horrific Monster Book: Lasus Naturae Brief discussion and pitch for Rafael Chandler’s Lasus Naturae (Freaks of Nature) Kickstarter project. Well-funded and we’ll be getting full-color hardcovers. 1,269 High-Level View of the Sandbox Starting to assign meaning and find relationships in the randomly-generated sandbox material so far. 1,960 Hit Point Variations: Mana and Madness and Taint, Oh My! Ways my variant hit point and healing rules might be applied for other purposes. 2014-04-08 G 889 Geographical Assignment in the Sandbox Initial assignment of nodes in a random graph to locations in the random hex map for the new sandbox. Some tweaking so the nodes land on, well, land generally, but not yet much interpretation. That comes later. 2014-04-06 F 1,004 Founding of a New Sandbox Starting a new sandbox setting. Since I have no real goals in mind, randomly generate a hex map using Hexographer, and a graph (nodes and edges) using randomizers and a bit of thought (I had not yet written my random graph generator). 2014-04-05 E 1,643 Entity Scope, Updated and Explained How broadly applicable a game entity is, the range of its reach and influence, from the encounter level up to the setting. 2,737 Entity Template, Updated and Explained I use a fairly standardized template to capture information about game entities. I originally presented it some time ago as part of another article, this post updates it and focuses on the entity template alone. 447 Echelon Reference Series One of my major projects, preparing research documents for use in developing Echelon, and potentially as salable products themselves. 2014-04-04 D 611 D&D: Data & Diagrams Why do I go to so much trouble to prepare diagrams for the Echelon Reference Series? 2014-04-03 C 729 Covenant of First Scholar Herol A brief piece describing and containing the Covenant between the First Scholar Herol (of the Seekers of Lore campaign) and Strolen, small god of knowledge. 2014-04-02 B 210 Burgeoning Barbarian Book Brewing My first planned product: Echelon Reference Series: Barbarian. About 200 pages collecting, organizing, and making more usable everything I know and can find about the Barbarian class in Pathfinder. Originally hoping for release in April, now somewhat more realistically aiming for the end of June. 2014-04-01 A 717 Adventure Design Requirements Adventurers need three things: a way to reach the action, a way to take part in the action, and a way to survive the action. Adventures need three things too. Pingback: Years Ago, and Years to Come | Keith Davies — In My Campaign - Keith's thoughts on RPG design and play.